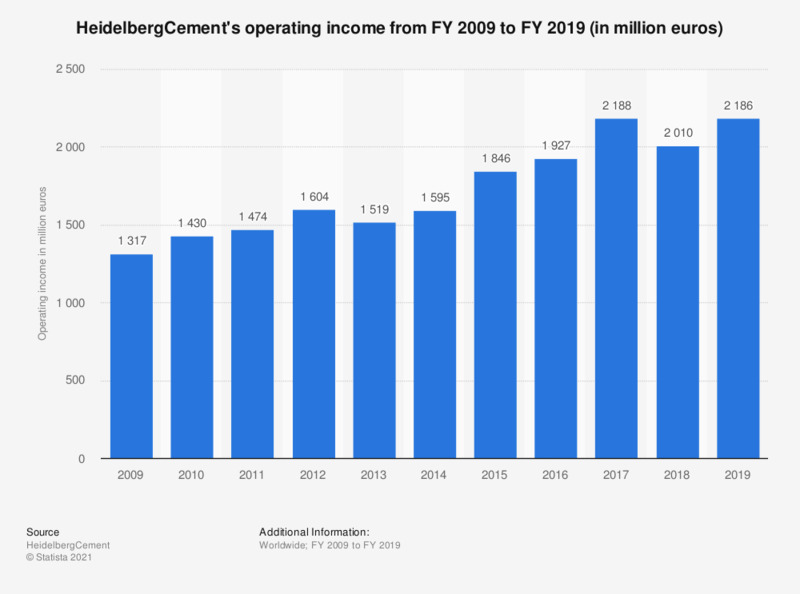 This statistic represents HeidelbergCement's operating income between the fiscal year of 2007 and the fiscal year of 2017. In the fiscal year of 2017, the German multinational building materials company generated operating income of around 2.19 billion euros (or about 2.7 billion U.S. dollars). The figures for 2005 and 2006 were restated as a result of the reclassification of emission rights and pension interest (IAS 19). The figures for 2005 and 2009 are taken from previous annual reports. One euro is approximately equal to 1.07865 U.S. dollars (as of March 24, 2016). Statistics on "Cement industry in the U.S."
Construction material industry in the U.S.